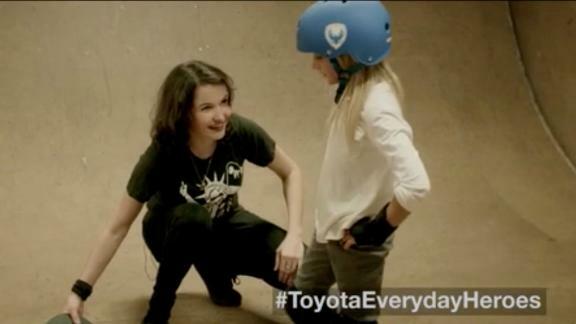 Watch how three women are impacting their communities by using sports to mentor girls. 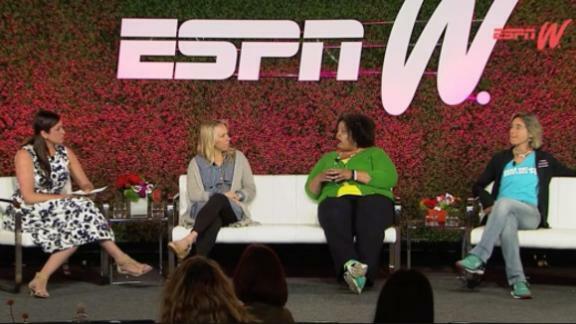 Three influential women who have succeeded in empowering young girls and women through sports in their respective communities were recognized for their achievements Friday as the 2016 Toyota Everyday Heroes at espnW: Women + Sports Summit. Courtney Payne-Taylor's Girls Riders Organization in Indiana inspires, educates and supports girls through action sports. Tracy Pointer's Golfers Recognizing Opportunities for Women, Inc. (GROW) and GROW Girl organizations teach multicultural women and girls the game of golf and how to use the sport to tackle their personal aspirations and goals in Nashville, Tennessee. 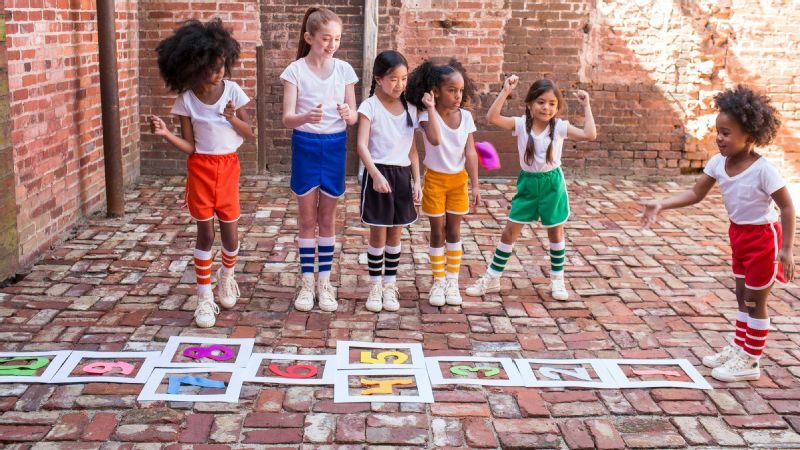 Beth Devine's Philly Girls in Motion brings sports programs, fitness and nutrition to young girls. Courtney Payne-Taylor, founder of GRO, reacts to the news that she was awarded a $10,000 grant. We spoke to this year's recipients about the impact of receiving the award, which includes a $10,000 grant, challenges they've faced as leaders of their organizations and the life lessons they hope to relay to the young girls in their programs. espnW: How does it feel to receive this award and be recognized for the work your organization is doing in your respective communities? Tracy Pointer: It is definitely an honor. It's just a matter of doing what I do and what I love. It's not doing it for the recognition, but doing it because I'm purposed to do it. God put me on this earth to do this. I'm taking my life lesson and I'm not being selfish with it and sharing it with others. So that in and of itself means so much to me and it gives me the inspiration to do even more. Courtney Payne-Taylor: What we do at GROW is help prove to the women, to the girls, that they matter and no matter what their goal is, that it's worth it -- even when they're going through the hard times. We want to provide support for them to be able to reach those goals, and I think this award kind of did those two things to me and showed me that this matters and it is worth it and to keep going. The grant is a massive opportunity for us to expand what we are doing for the girls. Beth Devine: Receiving this award kind of validates things in a space where it's very easy to doubt. I think that having somebody say "Yeah keep going" in a matter that's so big for small organizations like ours, that's a big deal. The validation is huge, and it turns my brain around to say you got to get this done because it is worth it for every single child that comes through the organization. espnW: What has been the biggest challenge when trying to achieve the goals that you set for your organization? Pointer: Sometimes the biggest challenge lays in being able to balance it all. I work professionally outside of the home. Of course I run my non-profit organization, I'm married, I have a family, I have two children, so that would be the biggest challenge. I don't think I've had the challenges in terms of getting the buy-in or getting the support or getting people to realize the purpose of our organization. Payne-Taylor: A challenge for us in the action sports world is standing next to all these sports that have had so much strength for so long. One challenge for us has been helping the companies and the parents and the people that could support us understand that skateboarding can be a beautiful thing for the girls, and helping bring these new sports into the mindsets of this bigger world. We all have challenges and that's the beauty of doing what we do. Devine: I think the challenge is making the commitment to the growth. When you decide to stop being a part-time organization, the jump that it takes is terrifying and is also very difficult. The challenge is finding the courage and the strength and the resources to say we're going to make a go at this. Once it happens, it happens, but getting over that hump is scary. espnW: Why is it important to focus on young girls and women as the target demographic for your organization? Pointer: The focus is really just targeting the next generation. We have to approach them now in order to help them to grow into the leaders of tomorrow. Success breeds success. It really lays in getting others to understand the message you're conveying and that message is empowering young girls and college students to learn through the game of golf, learn everyday life lessons through a sport that everyone may not be exposed to. I'm giving them that opportunity. Payne-Taylor: Sport and athleticism can change many lives. The sport that is for one girl is not necessarily the sport that will work for other girls. We just want to give girls as many options as we can to find their magic in themselves. Devine: What we learned early when we were building this out was that people in the city of Philadelphia said, "I like that you are going to be focusing on girls." I've focused on girls because that's all I've ever worked with, because I grew up in sports and taught sports to girls. When you look at who gets time last in the arena of sports, it's the girls. Girls get the last slot in the gym because of the adults and boys in the city of Philadelphia. Access and opportunity is what we wanted to focus on because girls weren't getting access to much sports at all, let alone specialty sports. You can find a basketball team but probably not a lacrosse team, so let's bring these sports to kids. espnW: Outside of teaching sports, what life lessons to do you hope to teach the participants in your respective organizations? Pointer: Self-respect, learning etiquette and honor, just really being yourself. If you can do that, then you can go anywhere. Most people just don't realize that being yourself and being an authentic you is what you should do. We see someone on TV and we want to be like that person ... that's not how we should operate. Be authentic, be yourself. Devine: Officially we focus on healthy habits, self-esteem and feeling good about yourself. I think naturally what comes with it is achievement and building confidence because all of a sudden you can do a skill. We use lacrosse a lot ... lacrosse is a hard sport to learn as a child so just picking up those skills builds that confidence. Our coaches start and end with a simple lesson like "be yourself tonight" or "do what you do out here." I think it's inherent to focus on everything that comes with sport naturally, but also we plug in some other stuff to make it a more rounded program. 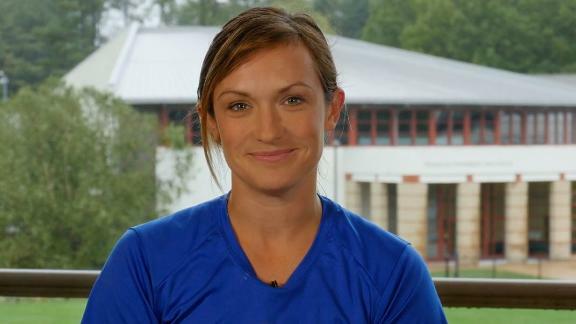 Payne-Taylor: I think what it's about is girls of all ages are beautiful beings of potential. They all have a gift they can bring to this world. Through the sports and through the organization we want to help them see that magic in themselves then be able to bring that gift. It's learning that the achievements that you make in skateboarding, in a trick, should really teach you that your capability is not just in the sport that you're realizing I can do this, but it's in the entire world. In anything that you dream and anything that you wish, you're capable of doing it. You're worth it, it's important that you're on this stage to bring it -- you are not alone.